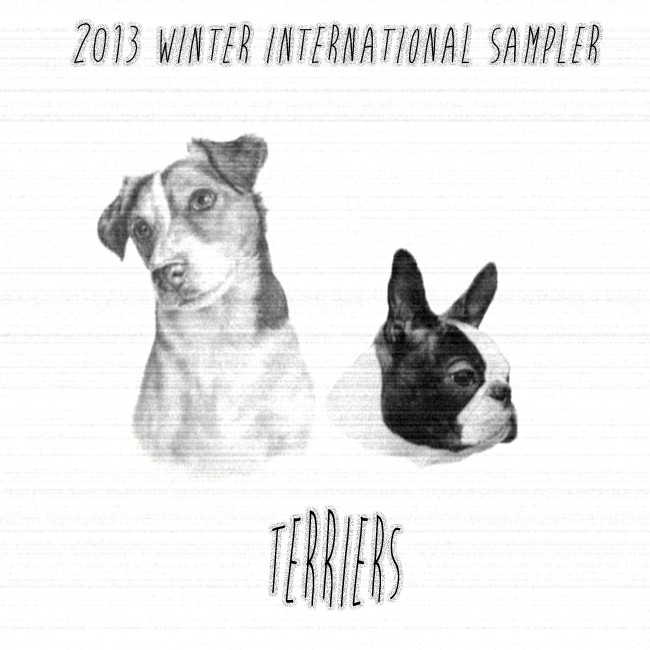 Terriers | 2013 International Sampler!! So, I grew up since I was 10 with a Jack Russel Terrier named Bo. He now lives with my dad, and is an old man. 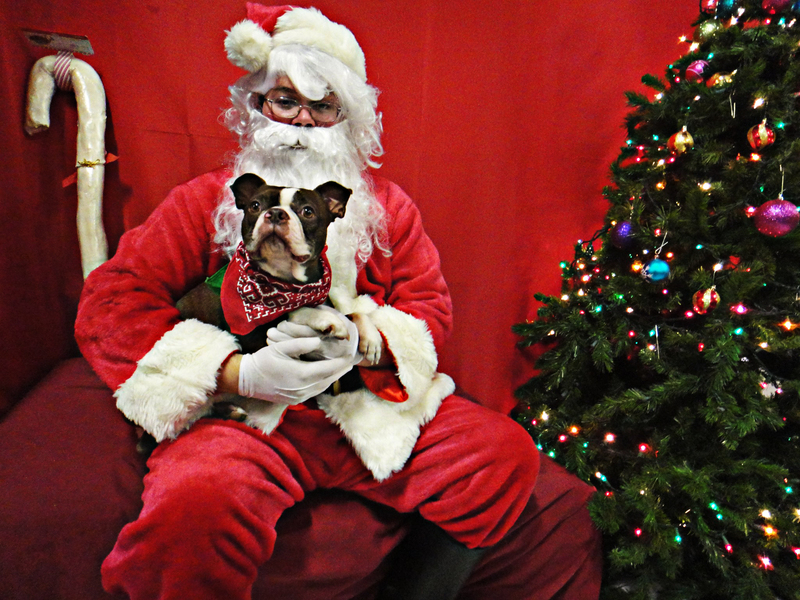 Since moving out, I got a Boston Terrier. I just like terriers; small but sturdy, and great personalities. Anyways, that's where the idea for the name of this sampler came from. We posted it on bandcamp, and we are already out of free downloads. I threw it up in the store for download so you can get your hands on it. Lots of great bands on this one, just like last year's. 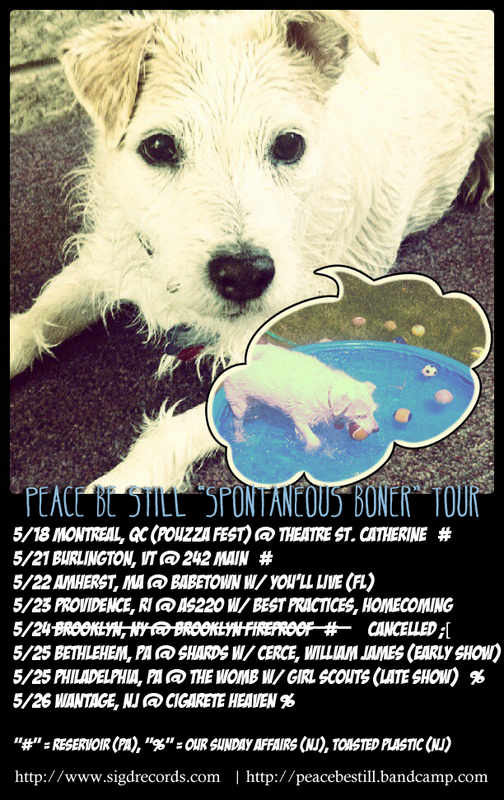 Peace Be Still was supposed to be on it, but their new EP is still being mixed/mastered. I've heard rough cuts of all of the songs and I am really excited to share it with you all. Hopefully there will be more news in March. The repressing of William Bonney's Good Vibes is being put in motion. More news on that in March as well. SRVVLST is going to be recording their EP soon that we will be putting out, but until then you can hear a new song of theirs on the sampler that will be on a split with Running Shoes (Grand Rapids). Basically, download the sampler and check back here next month for more concrete news! RIP SIGD Records, Long Live Major Bear! Well, in an effort to seem somewhat legit, I decided a name change was due. Frankly, I don't know how any band trusted us to put their music out with our original name. New William Bonney and repress of Good Vibes TBA, 7"s coming from Peace Be Still and SRVVLST, You'll Live is hitting up Europe with Nai Harvest this summer, new international compilation is coming out (see picture above), Reservoir/Bicycle Ride split coming soon! Lots of stuff in the air, but 2013 is looking good so far! So, you may have noticed we did not participate in any Black Friday sales. Well, one reason was that you probably were being flooded by other people's sales. Moreover, we were in the midst of fall semester and packing a bunch of orders during finals weeks did not seem feasible. Well, now that the semester is over and and we are in a lull, we are going to have a sale for you! From now until Wednesday we will have 50% off all orders over $15. That means you can get a You'll Live LP and Adaje/Lizards split for $7.50. Or a Peace Be Still LP and Chalk Talk LP for $9. Or a You'll Live and Peace Be Still LP for $10. The combinations are not even close to being endless! All orders from now until Tuesday we can guarantee will make it to your house by X-mas (besides international orders). If you order Wednesday there still is a possibility we can make it by X-mas, but no promises! Also, next year we will be completely overhauling our site and releasing a new winter edition of the international sampler Stay tuned and add us on facebook for more updates! Phew! Finally got some downtime, so I am going to give you guys a bunch of updates about all that is going on. 1.) You'll Live orders are out! You should be getting your records any day now if you preordered the You'll Live album. The pop-up idea turned out really cool, I think, but time will tell. I am starting to see it posted on tumblr, but in the near future there should be reviews surfacing, and I will post those as they come in. 2.) Only 3 Chalk Talk Bile Colored vinyl left! We have a bunch of the black ones left, but we are nearly out of the colored records. Get them before they are gone! 3.) Only 2 William Bonney Good Vibes LPs left! Seriously guys, the band sold out while on tour and Songs from the Road is either out or nearly out, I believe. So, these are literally the last two for this pressing left. We have no immediate plans to repress this but we may next year. So if you want to be one of 300 people to have the first pressing, order very soon! 4.) Free zines with future orders?! I was approached by the guys at Kyeo Speaks about taking zines in bulk to distribute, and I should be having a couple samples arrive in the mail soon to look over. If all is good, we will get a bunch of these to be given for free with any orders. 5.) New face to be added soon?! Speaking of up in the air type stuff, I am also talking with the boys in SRVVLST about putting out a new 7 inch early next year. If you haven't had a chance to listen to them, head on over to their bandcamp and give them a listen! 6.) Peace Be Still is working on new material! I have gotten a few samples and rough cuts of their new songs, and I am really excited to hear the end product. Look out for new stuff probably closer to the new year I would guess. 7.) Taking submissions for the Winter International Sampler! I want to do a winter edition for the International Sampler that we had this summer. If you are a band outside of the U.S. and want to be on it, send an e-mail to sometimesigetdrunk@hotmail.com with the subject "Winter Sampler". If you haven't got your hands on the one from this past summer, you can get it for free here or on our bandcamp along with the rest of the material we put out. Free downloads for all! That's it for now, make sure you add us on Facebook for more frequent updates!.